Investors from across the world can access the platform, which is licensed with the Dubai Financial Services Authority, and choose from various properties to collectively invest in. Smart Crowd only acts as a conduit between the buyers and sellers. "Our digital platform allows investors to buy a fraction of a property without a huge down payment or a big financial outlay. It pools capital with other people to collectively own a property," Siddiq Farid, CEO and co-founder of Smart Crowd, told Khaleej Times. Smart Crowd's target investor is someone with a small amount of money - say Dh10,000 to Dh50,000. The company's aim is to democratise real estate investment with low entry barriers. For bigger investors with more money at their disposal, Smart Crowd can help diversify their real estate portfolio. The platform features residential properties in all segments - affordable housing (say, International City, Discovery Gardens, Remraam, etc.) 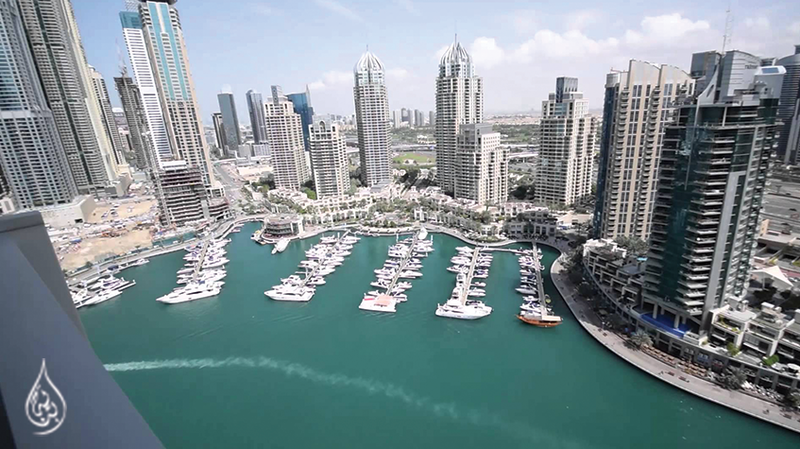 as well as prime real estate (for instance, Downtown, Dubai Marina and Palm Jumeirah). It recently completed a sales transaction for a studio in Remraam, a mid-income community in Dubai. "However, once regulations open up, we aim to offer properties in the GCC and elsewhere, as well as commercial and hospitality assets to investors. Buyers from any countries can access properties on our platform unless they are from nations restricted by the Dubai Land Department. We aim to cater to those investors who have been priced out of the Dubai property market," observed Farid. There is a 100-point screening process to vet properties before they are featured on the platform - these include location, age of the building, the developer's credentials, view, supply-demand dynamics in the area, building serviceability, how easy it is to liquidate the property, etc. Once the required capital is reached, a DIFC-based investment vehicle is created and shares are issued to investors proportionate to their investment. This investment vehicle will be registered with the Dubai Land Department and will be on the title deed. The investors will be able to validate their ownership on the vehicle on the DIFC public register. The platform does not guarantee returns to investors. "We provide a secure investment structure where investors can make their own assessment on the property based on the data available. For instance, in affordable communities, the net returns vary between 7 to 8 per cent whereas for prime real estate, it is more about capital appreciation. So, we provide different kinds of exposure," Farid added. If investors wish to sell the property, they can call for a collective vote. If there is a consensus, they can sell it. Smart Crowd is also working on a secondary market which will eventually allow investors to trade their individual stakes like a stock market. This will depend on regulations. Smart Crowd claims that unlike real estate investment vehicles, the platform provides users with active management of their shares, transparency on what properties they are investing in and low costs of investment. "It offers more flexibility and sustains the real estate cycle. Investors will have more control on their investment on our platform as opposed to a real estate investment trust and more transparency in making investment decisions and returns. Our cost structures are more efficient and we offer better returns because of the lean structure," explained the startup's co-founder. The platform aims to address pent-up demand in a market that has traditionally been dominated by wealthy foreign investors. "In the Mena region, most people prefer real estate as an investment asset class, but it is unaffordable to the majority. We aim to address this market gap. Our platform allows people to test the waters before buying a standalone building in Dubai," Farid concluded.